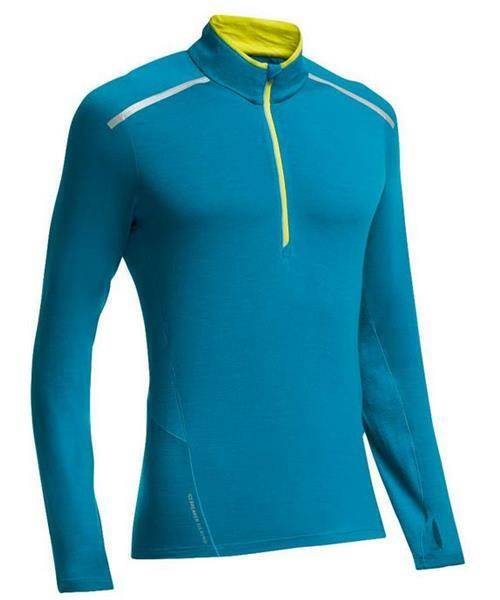 Whether worn next-to-skin on a mid-winter training run or layered up on a weekend ski tour, the Comet Long Sleeve Half Zip is technical zip-neck top made from merino wool with a touch of LYCRA® for the ultimate combination of comfort and performance. In addition to the super-soft stretch body fabric, the Comet Long Sleeve Half Zip features eyelet underarm panels to help vent heat and regulate body temperature. Bonded shoulder seams eliminate chafing while wearing a hydration or hiking pack, and reflective material on the front zip and shoulders helps improve visibility while cruising the city streets. thumbhole cuffs make for easy layering on super-cold days.